Can’t decided which wine to send? Why not send them two! Alternatively, combine a bottle of wine with a whisky or port. The price above is for the gift box. The cost of the wine, whisky or port will be added when you have made your selection. With two bottles of wine to choose the options are endless. 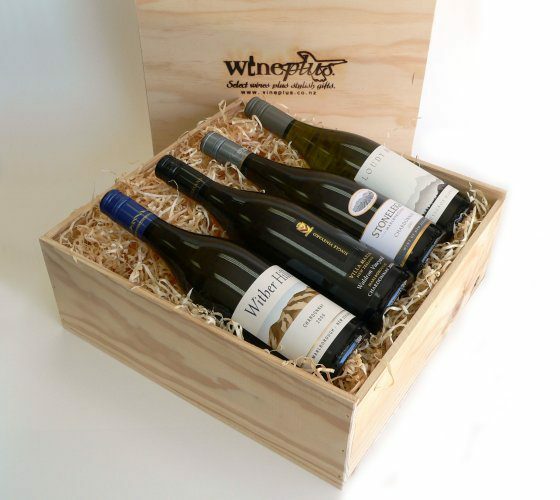 You can theme the gift box with two bottles of their favourite varietal such as pinot noir or sauvignon blanc. Or, you may prefer to send one bottle of red wine and one of white wine. With a double gift box, if the gift is for more than one person you can make sure they both get their favourite! Perhaps you’d like to pair an old favourite with a wine they haven’t tried before. 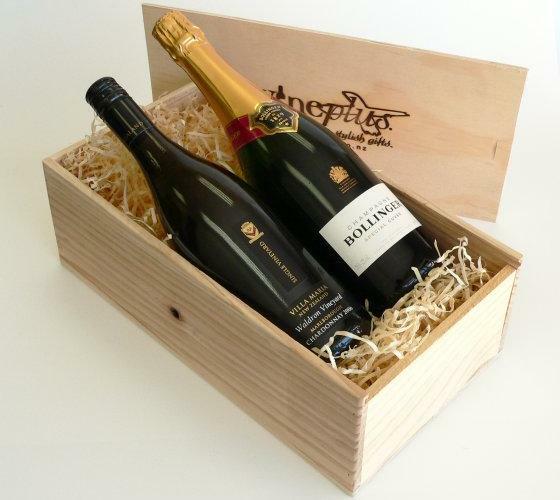 However you put the gift together, because we let you choose the wine you know you are sending a truly personal gift. *The price above is for the gift box. The cost of the wine, whisky or port will be added when you have made your selection.